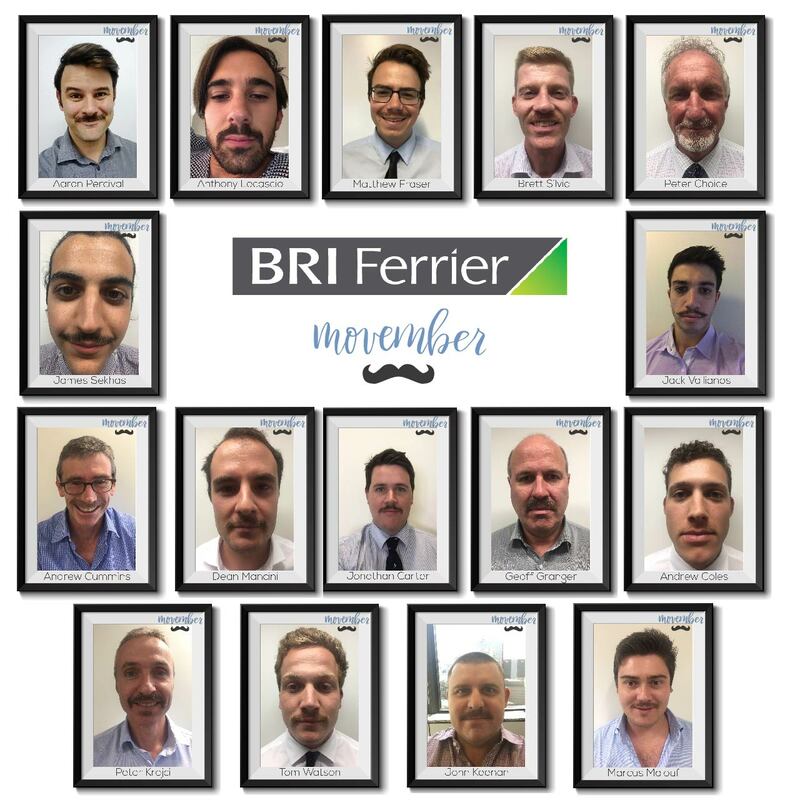 Male members of the BRI Ferrier team grew their moustaches over the month of November to support men’s health. Sixteen brave volunteers across our Australian network put their faces (and self-esteem) on the line to support Movember, an initiative which addresses the biggest issues facing men and their health – prostate and testicular cancer, mental health and suicide prevention. Our team raised over $11,000 for the cause, thanks to many generous donations from family, friends, colleagues and clients. A big thank you for your support. Worst mo – Andrew Coles received recognition for his great effort but rather lacklustre growth. It’s never too late to donate, so if you’d still like to contribute to this great cause, please visit the BRI Ferrier team Movember page.